Columbus, OH (Apr. 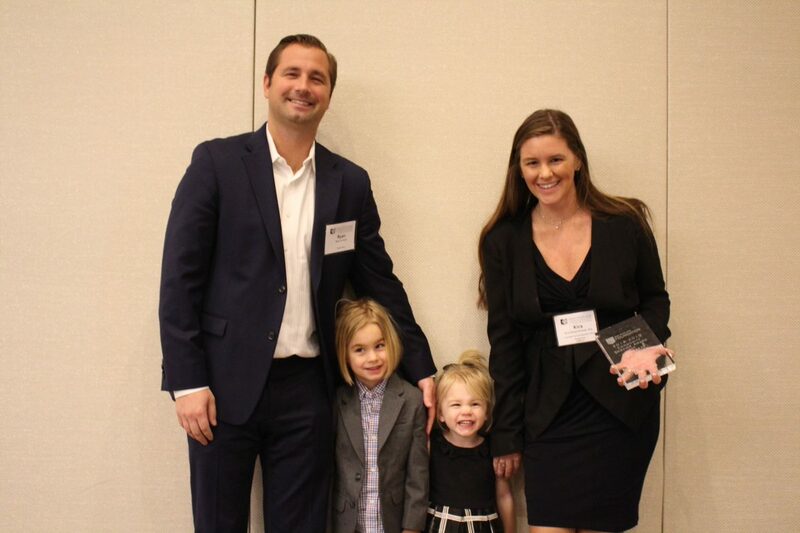 4, 2019) – On Thursday, April 4, the Ohio State Bar Foundation (OSBF) awarded its District 12 Community Service Award for Attorneys 40 & Under to Kira Kittoe-Krivosh. Kittoe-Krivosh is currently in her sixth year as an Assistant Prosecuting Attorney at the Cuyahoga County Prosecutor’s Office. When she’s not working, Kittoe-Krivosh participates in multiple service organizations. She is involved with the Junior League of Cleveland where she connects and learns from like-minded professional women who share her passion for giving back. Through the organization, they help others discover how they can be effective leaders and navigate professional and nonprofit sectors.